When you have ever visited a museum or photo-exhibitions you know that you will sometimes walk quite a bit to see all the works available. Currently there is a exhibition in Berlin which functions a bit different: It allows it’s visitors to relax and enjoy the best art from the last 2 centuries at the same time. 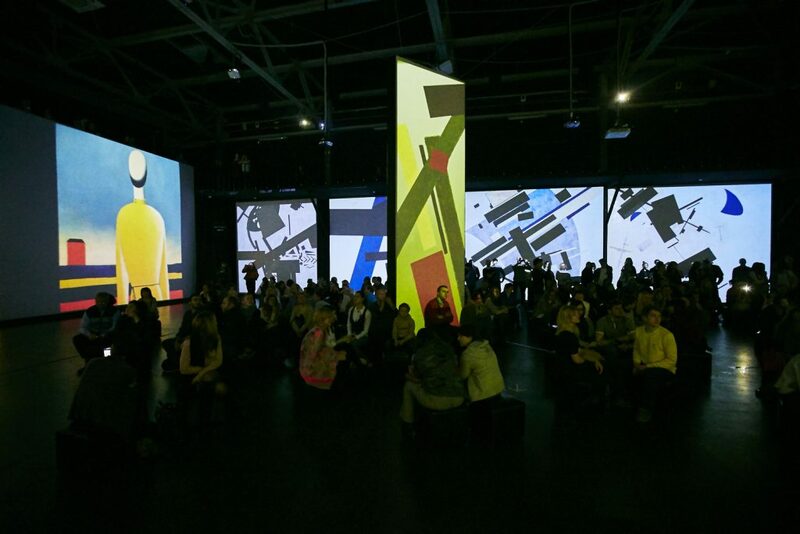 The exhibition is called Monet bis Kandinsky. In the art-exhibition Monet bis Kandinsky visitors can enjoy the works of 16 of the best modernist which ever lived. The interesting thing is, that they do not even have to walk around to see all the art. 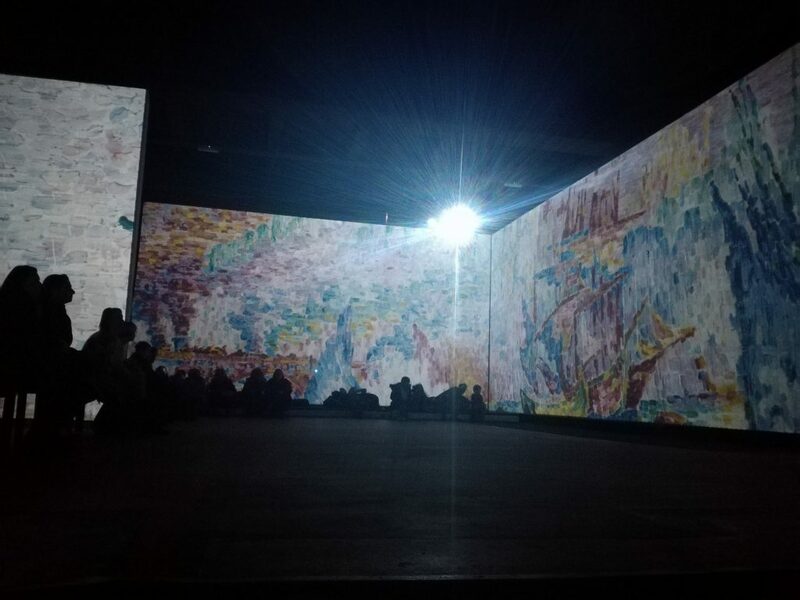 All they have to do is find a comfortable spot in the 1000m2 room and enjoy the projections on the walls. Because the works are accompanied by very nice music, it is a very relaxing activity. As the name of the show already indicates, you can enjoy a whole bunch of different painters in the exhibition Monet bis Kandinsky. Artists like Claude Monet, Paul Gaugin, Piet Mondrian, Vincent Van Gogh and Edward Munch are just a few of the 16 famous names you will be able to enjoy. The images in this article give you a good impression of the show you can expect. Monet bis Kandinsky can be found in the middle of Berlin, not far from Alexanderplatz. The exact address is Molkenmarkt 2 and ticket normally cost 12,50€. If you are going with a group of at least 4 people you can buy tickets as a small group and will only pay 8,50€ per person. We personally really enjoyed this exhibition. We visited on a Sunday and just laid on a relaxing fatboy-bag and enjoyed the music and the art flying by. 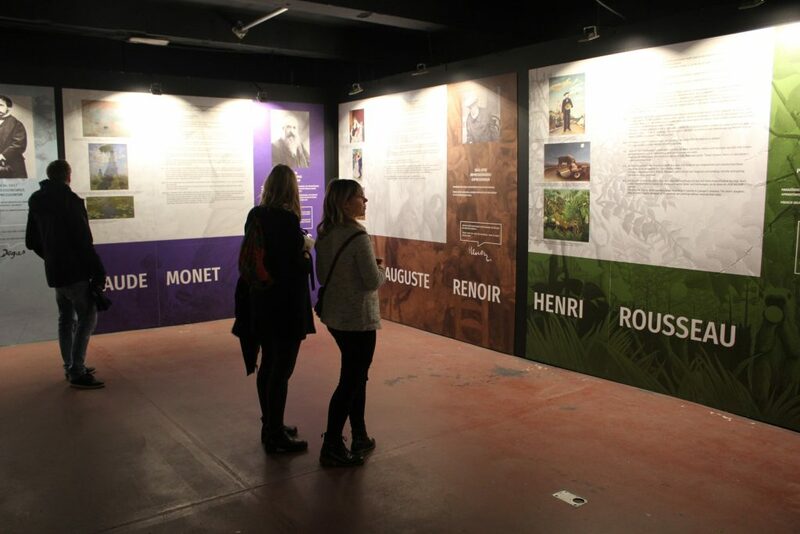 By the way: From the 15th till the 18th of March you have an extra reason to visit Monet bis Kandinsky. 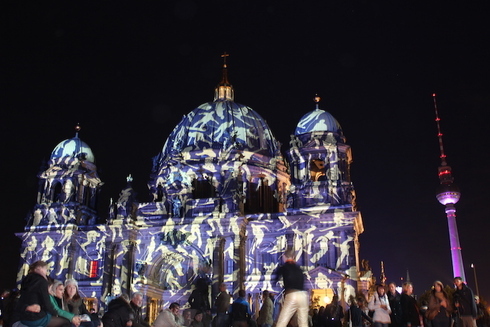 Stephan von Bothmer, a famous pianist, will be playing along with the projections.